I have been suffering from a bad cold virus over the past week. I wanted to keep myself busy but didn't want to concentrate on anything complex. 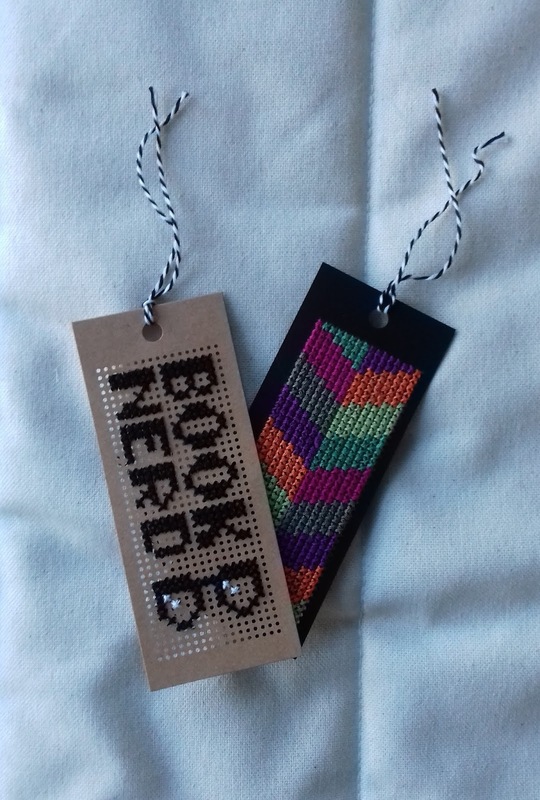 So I stitched up these simple bookmarks! These cardboard bookmarks were a lovely present from Santa. 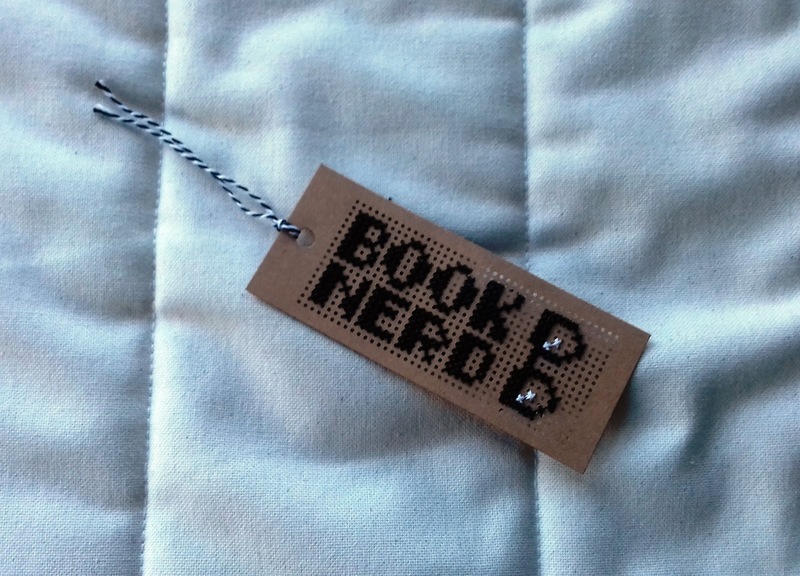 There are 8 bookmarks that come with a piece of bakers twine. In the pack there is a little booklet to help beginners who have never stitched and contain three different designs to choose from. I stitched two of the three designs. The third one is a of a house and I felt it was a bit twee for my liking. 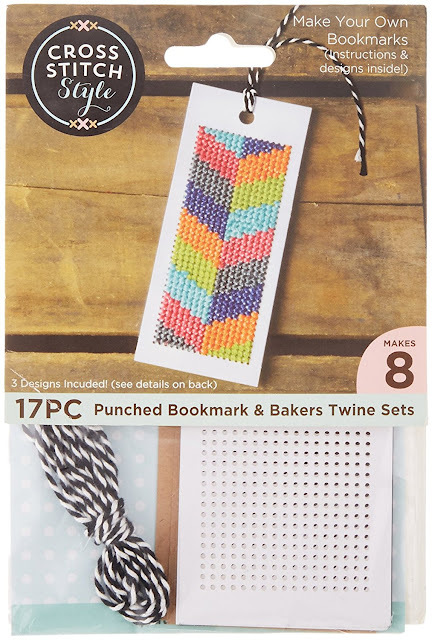 I initially had in mind that I wouldn't follow the patterns as these bookmarks would be to use up my leftover threads from previous cross stitch projects. However, when I looked at the patterns included I realised I pretty much had very similar colours in my stash so it worked perfectly! This design above stitched up really quickly. As mentioned, I loved that I didn't have to concentrate heavily following a pattern. It was just a case of referencing what colour would follow. The card isn't too flimsy too which is a plus. The holes are relatively large and far apart so I used the recommended 3 threads per stitch. The only downside, as you can see in the picture, is that the black bookmarks have not been cut evenly. The left hand boarder is larger than the right. However it isn't a deal breaker and I am sure that I will still stitch up the other ones. This second pattern was supposed to be stitched with a background colour, but I really liked the text on the brown card. I may stitch this pattern again but with other colours for the text and background to change it up and see how it looks. Again, despite this being text, the design was really easy to follow! It only took around 1.5hrs to stitch. I will definitely be stitching up some more of these bookmarks. 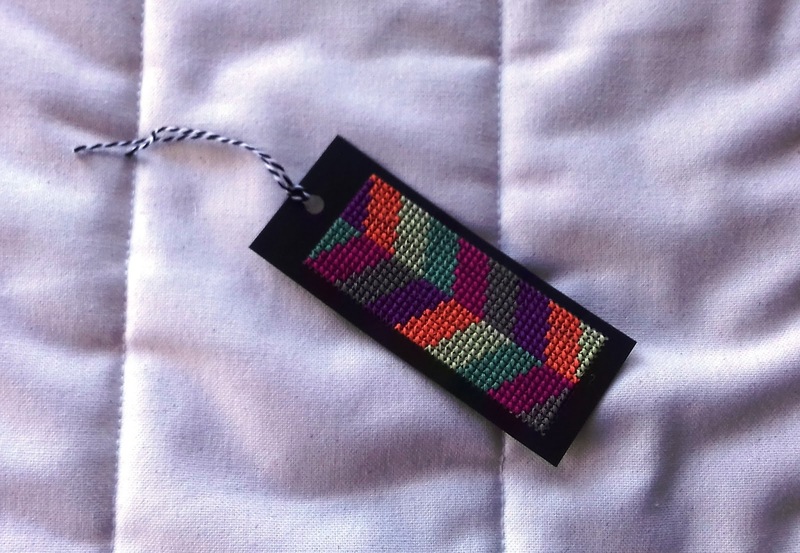 They are quick, portable, make nice gifts and are a great way to use up leftover embroidery thread. Anyone else had to take a break and focus on something less taxing recently? Or am I the only one that can't sew when I am poorly? Sorry to hear you've been poorly - hope you get better soon!